U.S. $ 29.07 billion (note: Bosnia has a large informal sector that could also be as much as 50% of official GDP) per capita $ 6.300.
meat, corn, fruits, vegetables and livestock. Steel, coal, iron ore, lead, zinc, manganese, bauxite, vehicle assembly, textiles, snuff products, wooden furniture, tank and aircraft assembly, domestic appliances, oil refining. Coal, iron ore, bauxite, copper, lead, zinc, chromium, cobalt, manganese, nickel, clay, gypsum, salt, sand, forests, hydropower. Italy, Croatia, Germany, Austria, Slovenia and Hungary. total: 1,021 km (electrified 795 km). Embassy of Bosnia and Herzegovina in Canberra, Australia. Address: Tivoligasse 54, A – 1120 Wien, Austria. Embassy of Bosnia and Herzegovina in Brussels, Belgium. Bosnia-Herzegovina Embassy in Sofia, Bulgaria. Bosnia-Herzegovina Embassy in Beijing, China. Embassy of Bosnia and Herzegovina in Zagreb, Croatia. Bosnia-Herzegovina Embassy in Prague, Czech Republic. Embassy of Bosnia and Herzegovina in Paris, France. Address: 174, Rue de Courcelles, 75017 Paris, France. Address: Ibsenstrasse 14, D-10439 Berlin, Germany. Bosnia-Herzegovina Embassy in Athens, Greece. Address: 25 Filellinon St, 6th floor, 105 57 Athens, Greece. Bosnia-Herzegovina Embassy in Budapest, Hungary. Address: Pasaréti út 48, 1026 Budapest, Hungary. Bosnia-Herzegovina Embassy in Jakarta, Indonesia. Bosnia-Herzegovina Embassy in Teheran, Iran. Bosnia-Herzegovina Embassy Tel Aviv, Israel. Address: 7 Menachem Begin St. Gibor Sport Building, 13 floor, Ramat Gan, Tel Aviv, Israel. Address: Piazzale 12/int Clodius. 17, 00195 Rome, Italy. Bosnia-Herzegovina Embassy in Tokyo, Japan. Keywords: Practical Information for Bosnia and Herzegovina. Useful information of Bosnia-Herzegovina. 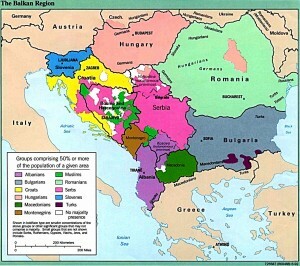 Geography of Bosnia and Herzegovina. How to get a visa to Bosnia and Herzegovina. Surface of Bosnia and Herzegovina. Population of Bosnia and Herzegovina.